Following the recent Louisiana Flooding, emergency workers, various employers, and countless public volunteers have begun the massive task of cleanup and recovery throughout the state. The U.S. Department of Labor’s Occupational Safety and Health Administration has begun an effort to raise awareness and maintain compliance with national safety and regulation standards in the undertaking of the cleanup process. One of the methods which OSHA has implemented to inform disaster-site workers of the various hazards associated with restoration, is the creation of a comprehensive website. In addition to the recovery website, OSHA maintains a flood awareness website which provides a resource of general flooding information for those individuals who are both affected by and working to recover from flooding. Among the dangers associated with flooding disaster and subsequent cleanup and recovery are hazards related to electricity restoration, emergency communication systems, water and sewer systems, demolition activity, debris cleanup and removal, structural, roadway, and bridge repair, and hazardous waste disposal. Only workers provided with the proper training, equipment and experience should conduct cleanup activities. 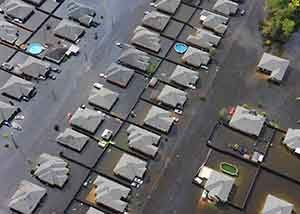 Although flooding has wracked various regions of the state of Louisiana, many of the safety standards and regulations which are normally relegated to a particular facility or workplace environment can be practically applied to any of the given disaster-sites throughout the larger geographical area. Those employers or employees who are tasked with disaster-site cleanup, along with volunteers, may be well-served by an OSHA approved general industry training course.